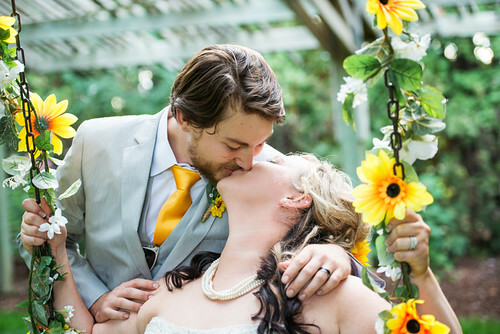 When Misty contacted us about this cheerful wedding, we jumped at the chance to feature her work. 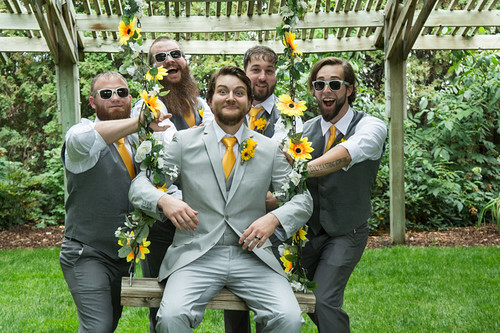 You can tell the bride and the groom showed off comfortably their peppy, full of life personalities – and they’ve got a full set of entourage who are just as delightful. 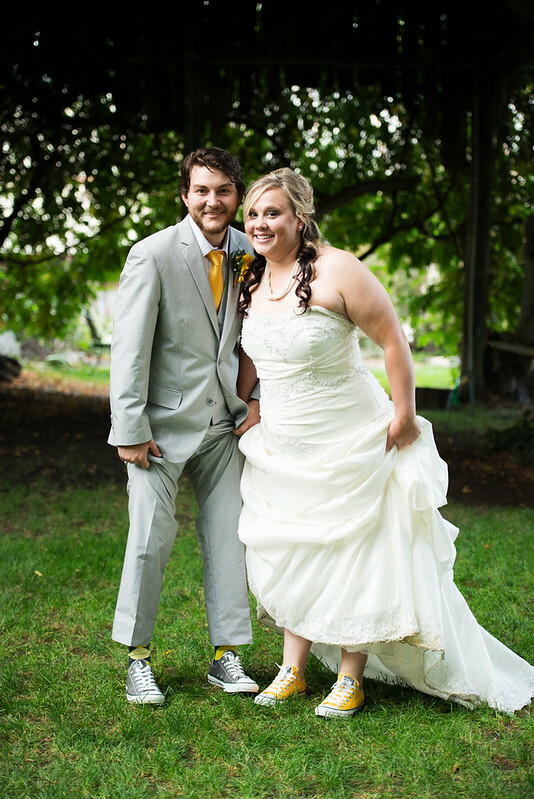 From the sunny neckties all the way to the perky converses, an ear to ear smile, we will guarantee you. 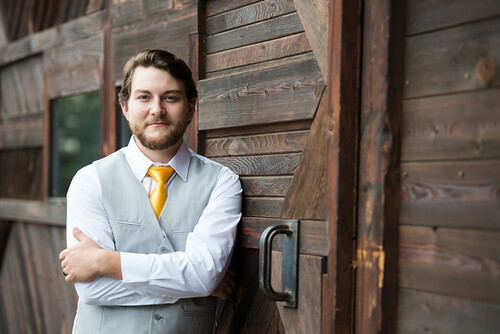 As a wedding photographer, I get to work with some awesome grooms (and brides) and Cody was definitely one of the best. 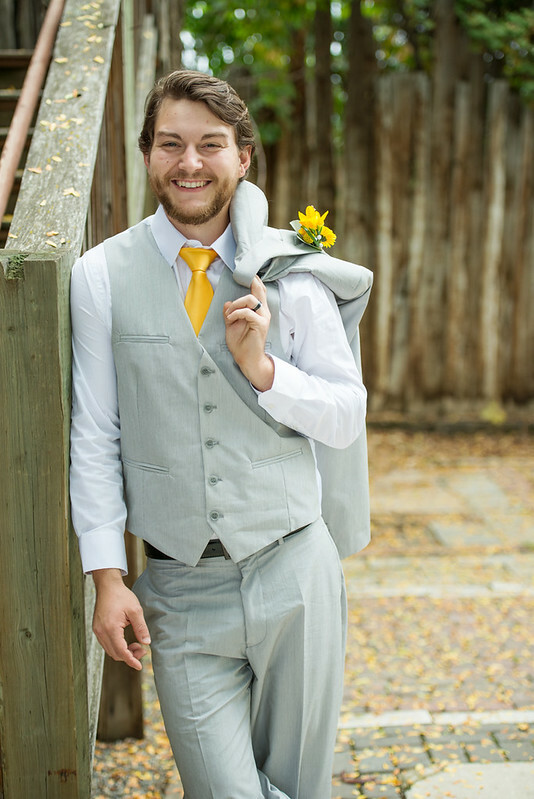 He is probably one of the sweetest persons I know. 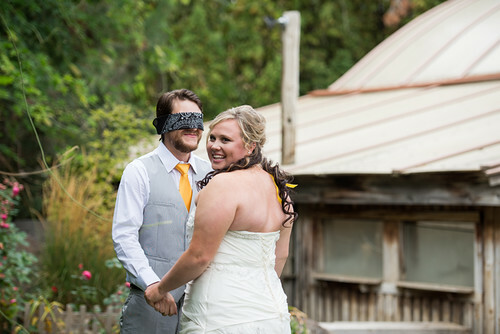 Cody and his wife, Meghan, knew they wanted to bring their personalities into their wedding. 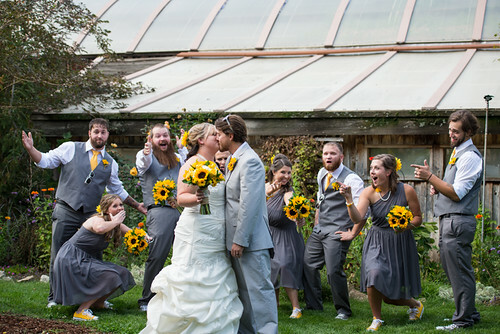 Meghan loves sunflowers, and knew since she was a little girl that she would have them as their flowers on her wedding day, loves her Converse shoes (I think she has close to 8 different colors!) 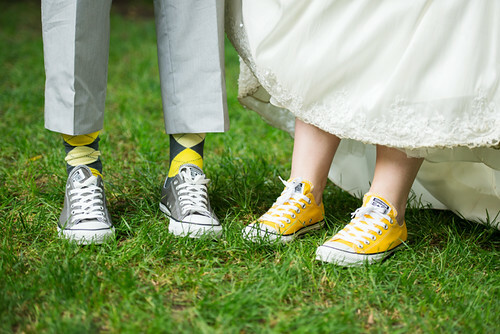 and Cody always, and I mean ALWAYS, has a bandana, either on his head or at least on his persons, and also has a love for Converse. 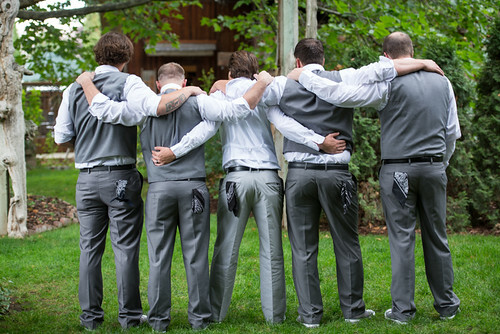 We incorporated the use of the bandana with their first look, and even each of the groomsmen had their own in their back pockets. 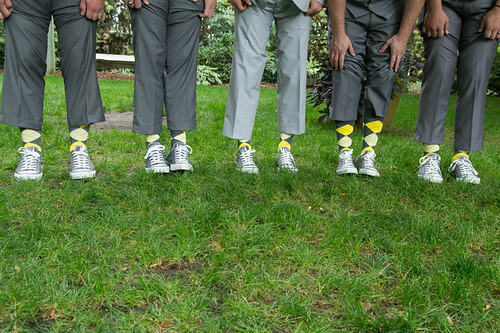 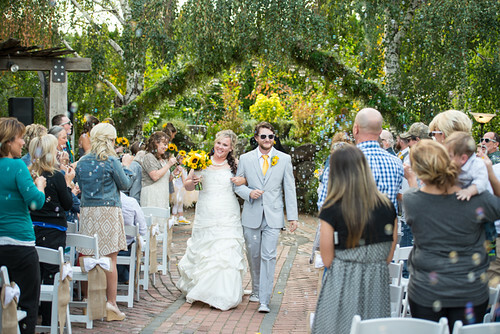 The entire bridal part wore Converse, yellow for the girls, grey for the guys. 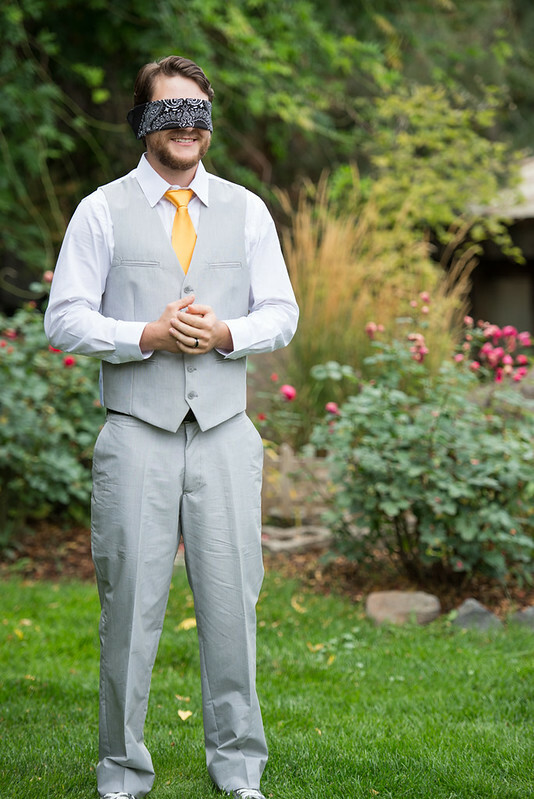 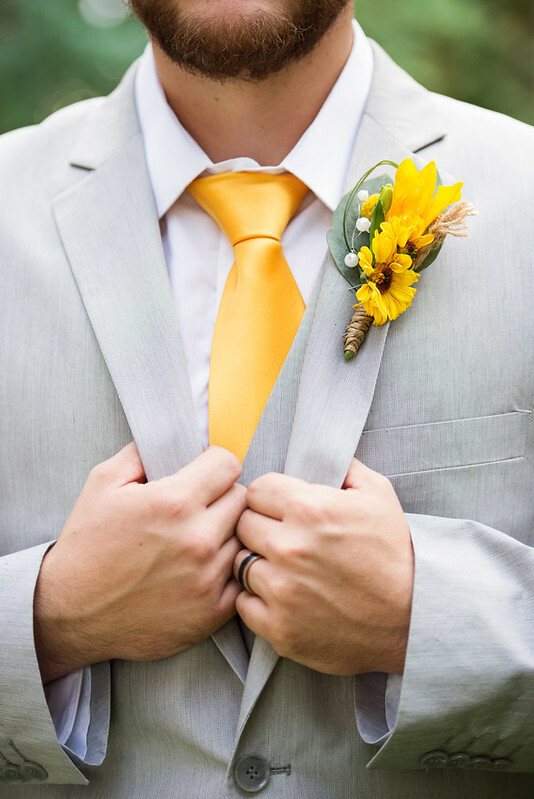 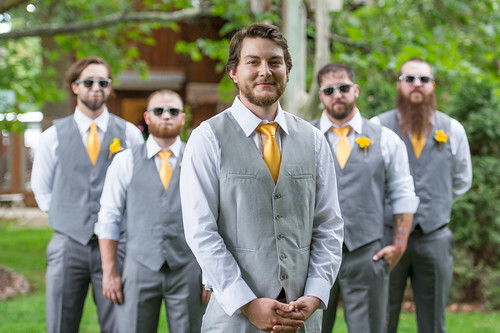 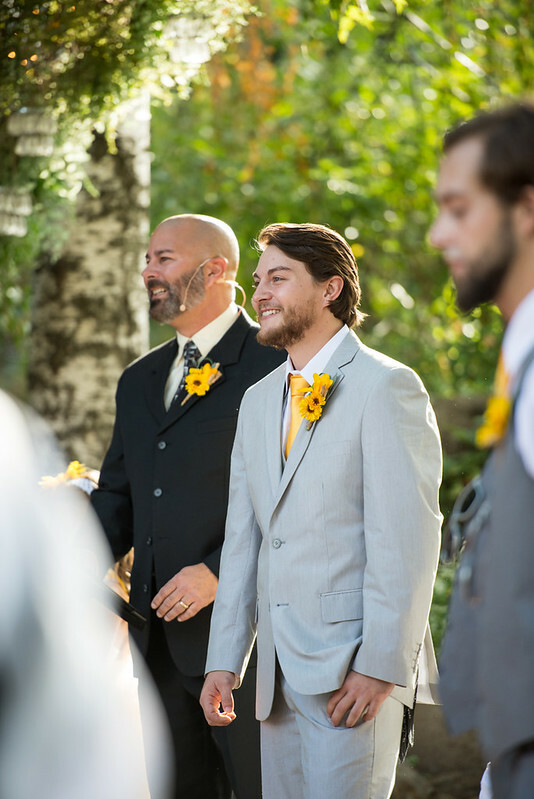 Cody wore a light grey suit while his groomsmen wore a darker grey, but just a vest, and they tied it all together with yellow ties (no pun intended).